How to grow peppers and chillies provides you with all the basic information you need to start growing your own peppers and chillies. From South America originally both peppers and chillies require quite a bit of sunshine. If you can provide both of those and have the the space and time they are a nice addition to your kitchen garden. Growing peppers, choosing the soil and site, Grow in pots or grow-bags, and give them plenty of shelter from winds but good sunshine. Peppers and chilies must be sown inside and need a temperature of at least 7o degrees to germinate. A heated propagator is ideal for this purpose. 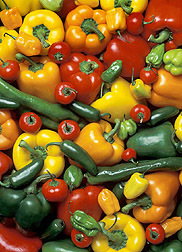 Sow your peppers in early spring sow at about 3 quarter inches deep in pots or seed trays. When the seeds have germinated you must keep them at a temperature of at least 57 degrees. Prick out the pepper seedlings into individual 3 inch pots when they reach 2 inches tall. Gradually lower the temperature over the next few weeks to harden them off. In late spring when the plants start filling the small pots, transplant them into grow-bags or large pots. Do not leave them outside until early summer. When the fruits start to swell on peppers they might need some support. Chillies will manage fine without supports. Both plants will need plenty of water in very dry weather. They will also appreciate a feed of a high potash fertilizer weekly during flowering. A homemade comfrey or nettle fertilizer is ideal for the task. 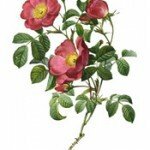 To promote bushy growth remove the the growing tip by pinching it out when the plants reach about 12 inches tall. Variety of Chilies to grow One of the easiest chilies to grow is the wonderfully named Hungarian Hot wax,. This variety has long pointed fruits which begin yellow and sweet and get hotter as they ripen.